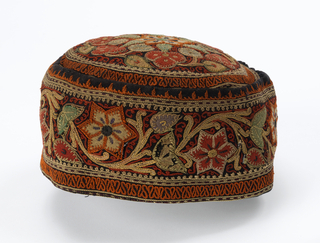 See more objects with the tag stripes, headcovering, fashion accessory, fashion, hat, hand-woven, hand-crafted. See more objects with the color burlywood grey dimgrey rosybrown bisque or see all the colors for this object. 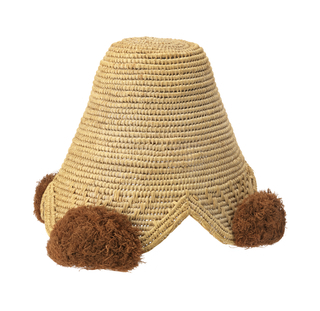 This is a Cap. It is dated mid-20th century and we acquired it in 1955. 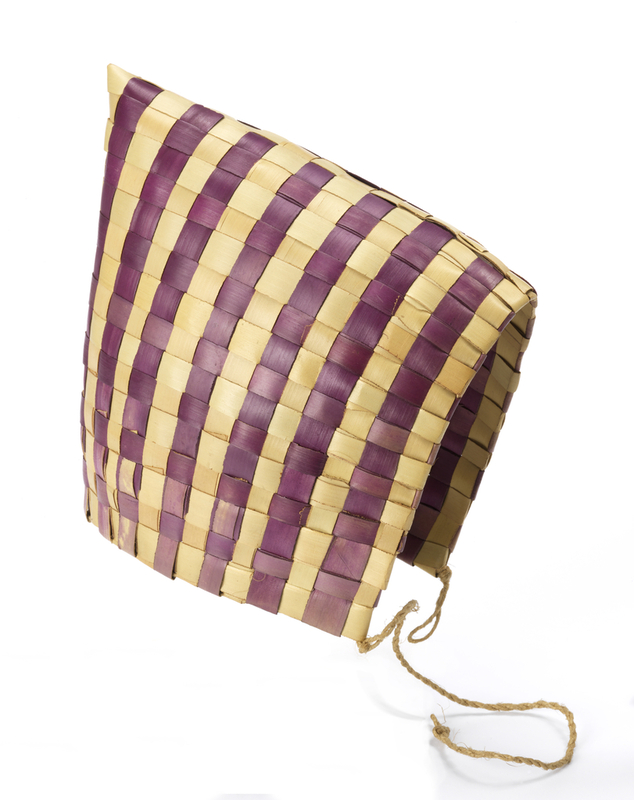 Its medium is rush and its technique is plain weave basketry. It is a part of the Textiles department.